Organic. Subtle and mellow white tea from Fujian Province. 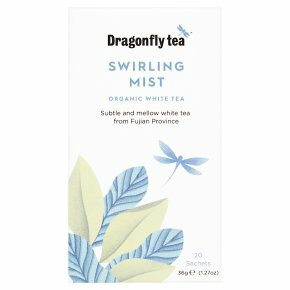 Named for the silvery down that covers the underside of the leaves, this authentic Bai Mudan white tea is grown in the high mountain mists of Fujian province. In Spring, the tender shoots are carefully selected and lightly cured, an artisanal craft perfected over centuries to give an elegantly mellow, slightly nutty taste. Brewing Instructions For a perfect cup allow fresh, boiled water to cool a little. Infuse for 2-3 mins according to taste. To enjoy all the nuances, add water for a second cup.